For each poem, a photograph was chosen which speaks to the text in some way, developing a conversation between the two. The book is quiet and thoughtful, touching on the things that matter most in our lives. 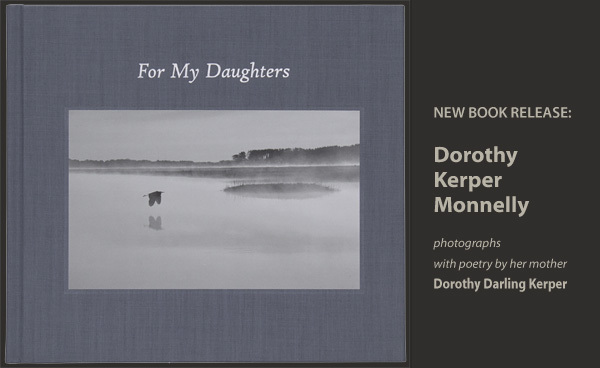 This is the second book of photography by Dorothy Kerper Monnelly, following her much praised book of black and white landscapes, Between Land and Sea: The Great Marsh.